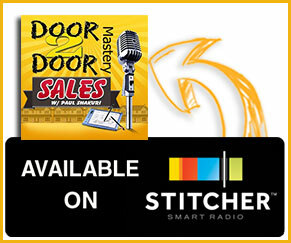 What’s going on door to door mastery fans?! Now you’re going to want to Listen Up for this! I received a comment on one of my social media accounts which affected on how I felt today! My goal from the very beginning in all forms of information I put out is to impact peoples lives, most specifically those selling door to door. I am presently training over eleven thousand people on how to sell door to door ethically and professionally. I used to own my own ADT dealership, so selling door to door is what I like to call my specialty. I now have a software named FillQuick.com in the industry, for alarm dealers, which basically runs your business on automation. Also, my team has been working ever so diligently with the ActiveKnockers software. You are able to tag homes, see who was an irate customer and who did not get to meet you because they were not home and missed out on a great deal. You can then go back to the people who were not home and close those deals. Now, let’s rewind from the beginning! The comment was something along the lines of “I can help you! Go back to school and you don’t have to be a door to door salesman douchebag!” First off, I am not sure why people feel entitled or better than others and feel that they can make such a statement. Honestly, I was ready to drop the “F” bomb! It pisses me the F off that there are douchebags out there that feel like they can say what the hell they want, whenever they want to whomever they want to. For the sales rep that goes out there and is confronted by individuals such as these, feels free to speak up and defend yourself. People who say those things to others hate themselves and they do so because they do not have what they want, they do not have what they desire most in life. The majority of people who are depressed are those in poverty. Those who cannot afford to buy their kids what they need or what they desire themselves. If your depressed and your one of those people who is putting others down to make yourself feel good, well then, you’re a scumbag yourself! For that person that made that comment, you should be ashamed of yourself for attacking a sales rep who is actually going out there to try and become a true entrepreneur. If you have been following me, you will notice that my teachings teach people how to go door to door and sell what they want to sell based on their personal belief of their own products and services. Sharing the wealth of information with the customers allows the customers an opportunity to make that connection, see eye to eye and to eventually close a deal with the sales rep. So, just because a few hate doors to door sales reps, is it fair to take away from those who enjoy it when someone comes to their door ready to offer them a product and service better than the one they already have. 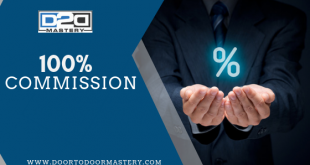 The majority of the time you will receive better pricing and products from a sales rep at the doors then if you went another route. I am going to push back to those who call all door knockers douchebags! You are not alone in this world ok! I agree that there are some douche age sales reps out there but to label all of us under that category! Well, that just makes you a douchebag and scumbag for doing that! I actually recommend that you go back and apologize to those that you have called douchebag simply because that could be your son out there. It is time to start looking at our neighbors in a different manner. To categorize everyone as sick and twisted makes you just as sick and twisted. 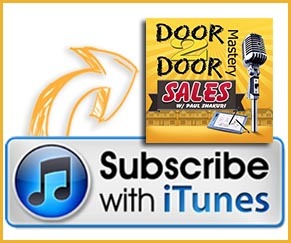 For the people that have been commenting “…door to door sales is a very respectful job.” Your right! Boom! Remember, for those door knockers out there, your going to get dirtbags that are going to bash you like that! I never disrespect anyone unless they come at you or me and then they will get the wrath back from Paul Shakuri!